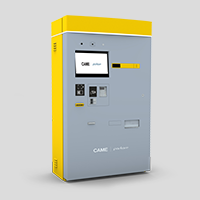 A fusion of Italian style and Spanish ingenuity, CAME Parkare’s first joint venture parking system, PKE, combines the CAME PS-One and Parkare Elegance systems with the latest hardware upgrades to create a powerful, high-end parking system, that will offer a new dimension to the parking industry. 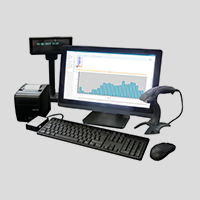 Parkare offers both magnetic strip ticket technology and thermal paper roll (barcode, QR, etc. ), providing a low maintenance solution whilst maintaining efficiency during the demand required by high operation facilities. 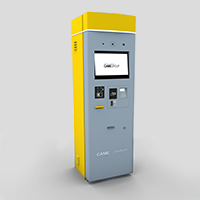 With the addition of a pay-on-exit terminal using TFT screen technology, QR or motorised magnetic reader, and credit card payment facilities, PKE demonstrates a strong future for CAME Parkare on the world parking stage. 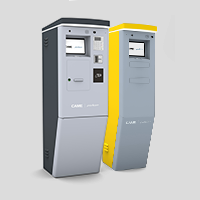 Available as standard in signal yellow and white aluminium (RAL 1003 and 9006) or dark grey and white aluminium (RAL 9006). 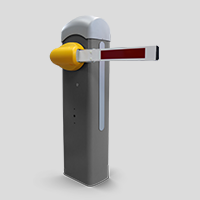 The PKE system is a comprehensive solution to parking control, offering significant improvements in productivity for little additional cost, whilst also increasing end user satisfaction due to operational reliability and a range of products to meet all requirements. 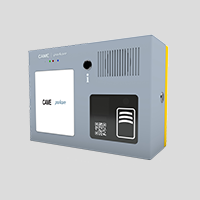 To do this, our PKE car park control system is based on a network of automatic devices that regulate access, control payment and record all activity in the car park. 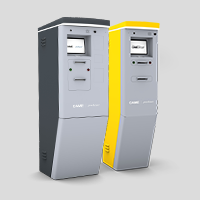 Remote and centralised control of car park system. Possibility of integration with third-party solutions.